Do you feel a little alone in your new business endeavor? Do you have questions about productivity and organizing that you don't know who to ask? Do you wish there was a group to help guide you on the path of your new career? You've come to the right place . . . Welcome to the Mentor Circle! 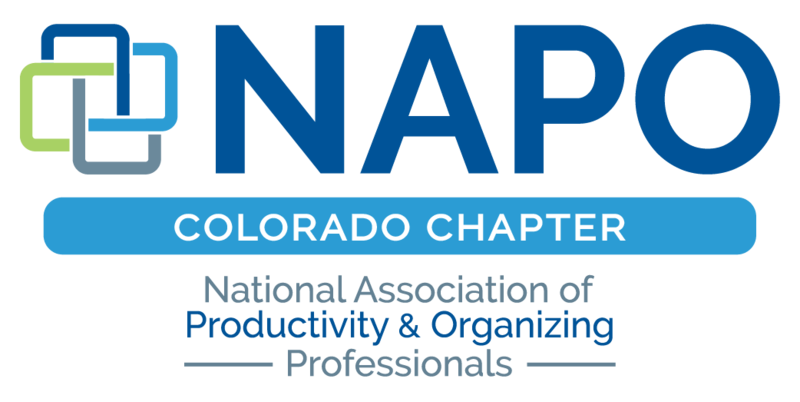 NAPO Colorado invites new professional organizers to our Mentor Circle, which provides new (and not-so-new!) POs an informal way to get support for your business from established members of NAPO Colorado. Attending the bi-monthly Mentor Circle is a great way to network with other new POs and share those "newbie" questions (and answers) that you might feel shy about asking at membership meetings. The Mentor Circle provides guidance, know-how, social and business support for professional organizers and productivity specialists who are just starting out, relaunching their business after relocating to Colorado or have an existing business that could use some help or advice. Attending Mentor Circle as often as you like is a FREE benefit included in your Chapter membership dues! This is also a terrific opportunity if you are considering a career as a productivity specialist or professional organizer. People who are not (yet) members of the Colorado NAPO chapter are welcome to attend Mentor Circle (for a fee of $10) to learn what it takes to be an organizer, get a realistic look at how to start a new business, and see how membership in NAPO Colorado will benefit you. The Mentor Circle meets every other month at a local restaurant in the Front Range (location varies). Attendees are expected to pay for their own food and beverages. Check our Calendar of Events to find the location and date of the meeting you're interested in attending and register so that we know how much space to have the restaurant reserve. To learn more, register for a meeting and to receive notices about upcoming Mentor Circle meetings, check the Events page of this website.